When this polybagged first surfaced a month ago bets were on it being part of the Summer 2018 release wave that came out on August 1st. That didn't happen. And with the lingering presence of the mysterious Han Solo Mudtrooper (40300) and Kessel Mine Worker (40299) minifigs barely in circulation, many LEGO fans are asking what's going on with all these polybags. Surely we are too far away the annual International Month of Star Wars for this new mini-scale Imperial AT-Hauler to be part of the the next May The 4th Be With You promotion? And with next year being an anniversary year it isn't likely that LEGO will pin their 20th birthday celebrations on one Star Wars movie. 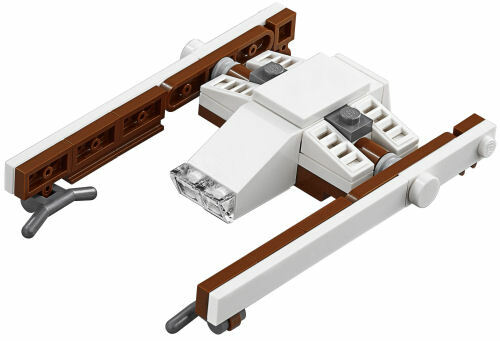 That leaves two opportunities - the just announced 75222 Betrayal At Cloud City master builder set and the unofficially revealed 75230 Porg. 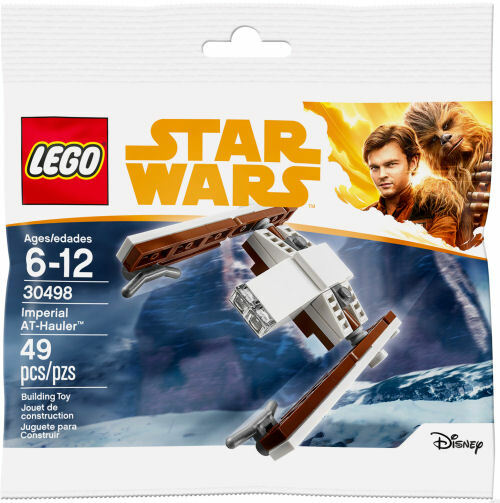 Our money is on it being made available when the Porg set is released for the simple reason that 75230 is rumoured to be a Target exclusive and LEGO like to have something to draw shoppers to other retailers. Of course this is just conjecture so keep an eye on Walmart until more news arrives. Until then feel free to enjoy these hi-res images. Alternatively, if you aren't fussed to wait and don't keep the packaging, you can build your own NOW with the downloadable instructions that LEGO has just provided. Let's hope that this isn't a repeat of the misfired 30381 Imperial TIE Fighter that never saw the light of day outside LEGOLAND California. Yup, that's four polybags that most collectors didn't get a fair go at in 2018.